In the chapter Interpol, On the Run, Colin McLaren writes: “Each day was filled with searching for and sifting through records, files and court documents to find missing evidence.” Or find that evidence has ‘disappeared’. Susan Blyth Neill-Fraser is an Australian from Hobart, Tasmania, who was arrested and charged with murder on August 20, 2009. 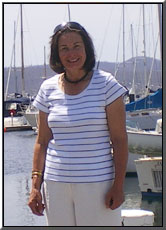 In October 2010, she was tried and convicted of the January 26, 2009 (Australia Day) murder of her partner Bob Chappell on board their yacht, Four Winds, anchored on the Derwent river in Sandy Bay, Hobart. 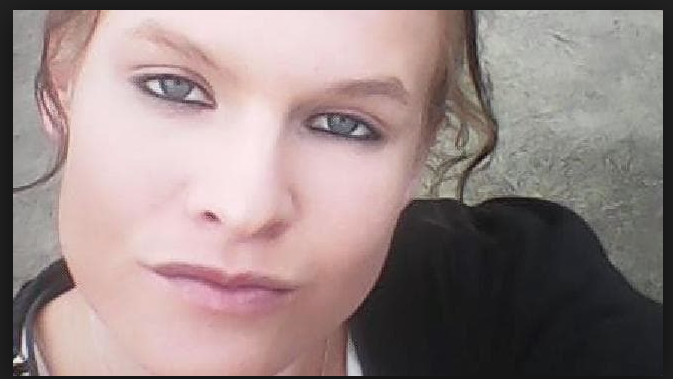 Chappell’s body has never been found, no murder weapon was produced at her trial, there were no eyewitnesses and there is no forensic evidence linking Neill-Fraser to the murder. 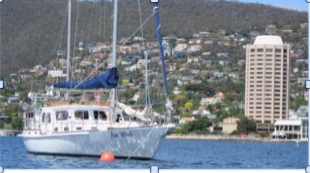 She and Bob Chappell, her partner of 18 years, had brought their jointly owned Four Winds down from Queensland to Hobart just a month earlier. It was a retirement dream. LEFT: Sue Neill-Fraser pictured on Australia Day, shortly before the prosecution claimed she murdered Chappell. Her 2012 application for leave to appeal to the High Court was refused. Neill-Fraser’s lawyers wished to recall then 15 year old homeless girl Meaghan Vass (pictured below), whose DNA was found on the yacht, and whose testimony at trial was found to be misleading. The DPP argued that the DNA was ‘a red herring’ and she had never been on the yacht; her DNA was probably transferred onto the deck on the boot of a policeman. Neither the jury nor the appeal court nor the High Court were made aware that the DNA sample came from a pool of fluid about the size of a pancake. “Maverick’s (pseudonym for the lead detective) next request was for information on calls to and from Meaghan Vass’s mobile phone number. This time, rather than ‘information purposes’, he gave ‘murder’ as the reason for his inquiry. The authorising officer for this request was Inspector Peter Powell, the head of the task force that charged Sue Neill-Fraser with the murder of Bob Chappell. While this frantic search for information about Meaghan was happening, Neill-Fraser was on remand and awaiting trial. Maverick made more requests for information throughout 15 March 2010. Each time, ‘murder’ was cited as the offence being investigated. “In the file there was also a photocopy of a notebook page dated 15 March, which may have been taken from Maverick’s notebook – it’s impossible to say. The entire entry has been obliterated. All the evidence was pointing towards numerous potential suspects in the death of Bob Chappell. I lived in Hobart ..Tasmania is a beautiful place but found the mindset of the population in general was dismal. This case all aspects should have been investigated ..circumstancial evidence is a tad similar to the history of burning witches . The whole case has so many question marks .It should be taken over by the Australian Government and re trialled. Thanks for the link Aldo. Very informative. I just watched Undercurrent and wondered if the DNA evidence had been tendered yet. The court of public opinion says “She lied! Guilty! End of Story!”. However, I have been in the unfortunate situation of being a suspect before (a car accident that police aimed to turn into a criminal offence for no other reason than to appease the public) and all I thought at the time is “Deny or don’t answer until a lawyer is present”. It wasn’t until recently that I discovered this only applies in America. Anything you say (or don’t say) to Australian Police can and will be held against you irrespective of the presence/advice of legal counsel. There is a valid reason it is law in America, no? And perhaps this case is a shining example?? Edwards v R  HCA 63; (1993) 178 CLR 193; at 210 – 211. In such a case, the jury should also be instructed that there may be reasons for the telling of a lie apart from a realisation of guilt. It may be told out of panic, to escape an unjust accusation, to protect some other person, or to avoid a consequence extraneous to the offence. To the public, I would argue Ms Vass lied too – for what reason remains a mystery. She claims she had never boarded the 4W but the presence of her DNA proves she had – or at least had been in the area which she also denied. I’m certainly NOT buying the story that someone stood on Ms Vass’s spit/blood/sweat and walked it all over town then onto the boat. As for Neill-Fraser allegedly planting her own DNA as a deliberate ‘red-herring’, I’m not buying that either. She was co-owner of 4W and on board regularly. Handling the winch is part of owning/sailing a yacht. I’d be surprised if they didn’t find her DNA in/on any part of the yacht. Even a money motive raises more questions than it answers. It seems they both contributed financially to the purchase, so why would Neill-Fraser agree to buy a yacht if, in her mind, the relationship was over? And, if it is alleged that buying the yacht was part of the murder-plot, why would she put another $40,000 into it? Repairs don’t increase the insured value. And lastly, I may have misinterpreted but, I read several news articles reporting that the very person who connected the DNA to its owner was later prosecuted for falsifying this evidence. If the DNA does belong to Ms Vass, which appears to be the case, then how is it “false” evidence? Neill-Fraser gave evidence that the yacht had been illegally entered on Jan 10, most likely by Vass which would account for her DNA. My perception is that Vass is a compulsive liar which makes her totally unreliable. It is also clear that Neill-Fraser’s responses to questions by investigators were spurious. When one looks at all of the evidence as a whole then it’s not hard to see why the jury found her guilty. The fact that the Supreme Court of Appeal dismissed her appeal and the High Court refused to grant special leave to appeal speaks volumes. Emotive responses by armchair critics don’t make her any less guilty. Juries and judges are required to reach a verdict dispassionately and objectively based on the whole of the evidence and in my view justice was served. I’m pretty sure I made it very clear I was presenting arguments to the armchair critics. Section 59 Part 3.4 of the uniform evidence legislation provides: The circumstantial evidence [ie lies as consciousness of guilt] will only be admissible if the guilty explanation is the most plausible explanation. … one can’t help thinking that an equally plausible explanation is that it was a robbery gone wrong. If you can’t bring yourself to imagine this as an equally plausible explanation, then you obviously are not familiar with Mariner security and gates or the reasons for such provisions. One more thing… I did find that Australian states do provide that you can refuse to participate with police interrogation until a lawyer is present. Although I have found no cases where this defense served to assist anyone in a meaningful way. Again, I have been in the unfortunate situation where calling my lawyer first was seen by the prosecution and the judge as a guilty act. Gus, increasingly I am ‘curiouser and curiouser’ re the Richard King phonemail, and source of his knowledge. I do not accept any 6th sense or premonition, sayso. 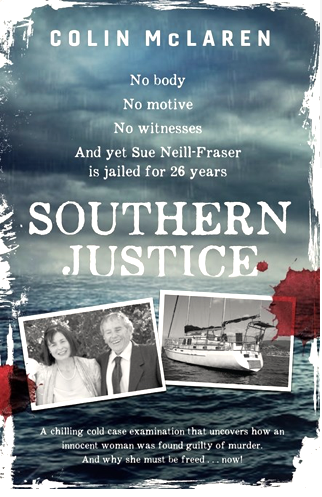 By todays standards it seems farcical that Sue is even in prison, without anything but circumstantial evidence, it seems highly more probable that 2 males (most likely) boarded the yacht in search of contraband of some description, and not expecting to see anyone on board, so be it the rest is unfortunate history. Also obviously Richard King is a key witness, how do you phone someone to effectively warn them something bad was going to happen on the yacht the not of Bobs disappearance, you were either involved or knew of or even simply overheard something, if someone phoned me at home to warn me my natural instinct would be to go and check on the yacht/Bob also, I’m going to go out on a limb here and assume that Tasmania’s murder/solving murder percentage is pretty good I doubt there’s to many unsolved murders down there, my point is sometimes perfect records and success can sometimes blind important facts and maybe even hastily make critical errors, going off what I’ve seen I hope Olivia Newton John has a rock solid alibi or she’ll potentially be behind bars if the Hobart detectives had anything to do with it. Good Luck to the families with the investigation, and if we ever figure out how to clone people can Colin McClaren be the first and we’ll put one in each state and territory. As a general observation, I consider that if I were “Maverick” at this point in matters of issue, I would be carrying a spare pair (or two) of underpants in my pocket. As a water person i have problems with any weight given to a fire extinguisher being able to hold a body down for any length of time.The defence should have done a practical test in ocean conditions.Something stinks. Yes Peter, this is the fist time I’ve seen this issue raised. Why wasn’t this much-mooted theory tested? During research for my book, Death on the Derwent, out 19 Feb, I emailed more than 100 forensic scientists (members of the Aust Inst.of Forensic Scientists) asking about that very point. The replies were many and varied, but the one that seemed to summarise the argument was from a couple, who ‘argued’ over the concept for hours, they said. In the end they came back to me saying’ ‘Think of a half-empty Coke bottle …’ and also ‘ it would also depend on whether the person was dead or alive, as if unconscious, air in the lungs would have assisted flotation for some period of time’. Another issue is that the tide was still coming IN at around midnight (1.04m for you fisherfolk and weather enthusiasts) and there were NO stars or moon until 4.30am (approx). Black sea, black sky, Mr Hughes (who saw ‘a probable female’ motoring out) must have 20/20 vision! Has his eyesight been checked? So a floating body/fire extinguisher would be carried UP stream at first, then, if still floating, down to the sea when the tide turned. My belief is there was NO fire extinguisher, has any cord/rope/ chicken wire —Triffitt’s evidence!, been found on 4W, other than the usual sheets (ropes)? The reason I say it became obvious to me that disposing of Bob was a ‘2 man job’ was that when I sat in the saloon it was obvious that the steps don’t line up. For Sue to pull Bob up this way would have been a much greater degree of difficulty than a straight haul, especially with Sue’s bad back (documented), body snagging on stuff and in the timeframe allocated. Much easier and plausible for two guys to head and toe him, carry him up and chuck him overboard. The current would have done the rest. Anyway, the extinguisher was a red herring, in my view. A photo doesn’t lie – Photo 7 of the crime shows that the winch on the main mast had a rope going to the skylite hatch. The winch had a handle in it. The body was likely winched through the hatch. One person can do that. Codswallop, in this given situation and the context of overall evidence including but not limited to, all photos. Teehee! A photo doesn’t lie?? Have you not heard the expression “Photoshopped”?? Not that I think this is the case but yeah, photos CAN lie. To answer the question: do fire-extinguishers sink or float? I don’t think it’s necessary to go into such detail as given by the experts. Sue isn’t a scientist/expert. If she did, indeed, use a fire-extinguisher to weight a body down she only had as much hindsight or knowledge as you or I have. And the fact is: none of us know with any certainty so how could Sue know with any certainty? Having read the Court of Appeal judgement i really don’t see any probative value in the missing images nor Vass’s DNA. The evidence against Neill-Fraser is compelling and damning. There is no silver bullet that i can glean from any of the points raised in Undercurrent and given McLaren’s comments in the TV investigation i’ll take any revelations with a grain of salt. It was pointed out recently that Colin Maclaren’s book doesn’t mention the winch on the main mast that had a winch handle in it and rope going to the skyline hatch. Keep this in mind when watching Undercurrent. Aldo, I am curious as to what in particular in the CCA decision leads you to consider no probative value to the missing evidence? My view is that considering the current application before the court as it relates to “fresh & compelling” evidence and how that it interpreted in the legislation, the “revelations” as you above-refer are critical, surely? There’s no shortage of unproven speculation by the show’s producer re a number of issues. If the so-called fresh evidence was compelling then the courts would need to re-investigate but that’not the case in my assessment. Indicative of how little Colin McLaren and Andrew urban actually know about the truth of the Neill-fraser case, she was charged with the murder in August 2009, so what is all this about march 2010? How could two author’s of books on that very case, in all of their research, get that so wrong? Is it deliberate? I have not previously read any of these posts, now I know why. I won’t bother again either. Thanks for the note Mr Sinnitt, but I can’t find the error you allege. The DNA found on the yacht was matched to Meaghan Vass in March 2010, when Sue Neill-Fraser was awaiting trial. If that is not correct, please advise. What Sinnitt is saying that whatever March 2010 evidence you are talking about is irrelevant to the reason and the evidence on which Sue was charged. I’m confused Beverley since I didn’t interpret the Sinnitt somewhat vague comment as have you. In the context of (i) Colin McLaren’s book, (ii) the current application before the Supreme Court, the March 2010 “evidence”, is in my understanding, indeed relevant. Furthermore, relating to that date, I find the specified details in the original post alarming, worrying and — in need of serious examination/explanation. And maybe because of your last name…. So please explain the lack of interest in Meaghan, discounting wroe and gleeson as anything but drunks. Footprints on the knife and hair and skin in skylight on boat belonging to Bob, or even the DNA on the cloth that was tested yet not put into database. What about all that…. And you are worried about conflicting dates? Andrew, I attended the High Court for the SNF matter. It was an eye opener. The size /volume of the said DNA deposit (frustratingly) was NOT described. A number of extraneous issues WERE presented when the hearing (as I understand it) was meant to be about a point of law! I am still appalled that this snow – balling scandal has not been fully exposed – despite numerous articles, documentaries and advice from eminent Counsel; where is the transparency, fairness and the requirement to assist the court(s) ? In my view, the whole sorry saga has been plagued by inaccuracies, incompetence and a dogged unwillingness to even consider any review. UNACCEPTABLE. I had had difficulty with Colin McLaren’s ‘dinner plate’ descriptor for the area of the Vass deposit, and likewise I had thought your “about the size of a pancake” was problematic. That was because I had thought that within the area sprayed with luminol, only some “possible drops” had given a positive reaction. In my mind this was in opposition to describing the area of the Vass deposit as being the size of a ‘dinner plate’. I suggest that the word ‘posited’ which appears in the trial transcript, might actually have been ‘positive’ … which rendition would fit both the context of the question and that of the answer. In either case, however, I now accept that the ‘Vass deposit’ was not just of some apparent drops, but was of an area of approximately 210 x 260 mm which included the “possible drops”. Your ‘pancake size’ descriptor, and likewise Colin McLaren’s ‘dinner plate’ are both appropriate. I understand – possibly sourced from McLaren’s book – that samples from certain ‘vomit rags’ taken from the Four Winds are now missing, though I think that the actual rags might still be in the possession of the authorities. I believe that the defence sought to have them tested, though I have heard no mention of this having been done. Having both heard and read examination of witnesses by counsel, I realise again that such examination and cross-examination is not framed to simply understand the evidence that the witness is giving, rather, it is often designed to ‘corral’ the witness into supporting/destroying the narrative constructed by either counsel. In my opinion, our court system is not about establishing the truth, it’s about ‘having a winner’. It’s time, Andrew, for an inquiry, for a Commission to establish that truth, to find out what actually happened. Regardless of what decision Brett J will bring down, and regardless of what an Appeal Court or Retrial Court might find, should Brett allow the application for leave to make a second appeal, we still will need to know what actually happened. Thank you Garry, fine observations. I suggest that the scientific evidence concerning the size of the deposit was not highlighted. The measurement would have been inconsequential to the jury at the time, unless they were alerted to the significance of its size in the context of the suggestion that it was ‘probably carried aboard on a policeman’s boot’. The High Court should have been asked to refer to this evidence when considering the leave to appeal. If truth is the first casualty in war, it is also the first casualty in an adversarial justice system. Andrew, even if it [“… the DNA sample came from a pool of fluid about the size of a pancake”] had been clarified to the jury — as well it ought have been, I reliably add that having been in a jury room during which somewhat muddled and confused discussion re DNA evidence took place, I can assure you that generally speaking, ordinary members of the public (the jury) find difficulty comprehending the reality of this complex scientific evidence. Nevertheless, had it been offered to the jury in plain-speak, as you put it, “… the DNA sample came from a pool of fluid about the size of a pancake”, there is a reasonable possibility it may have been more clearly understood and considered quite differently to how it seems it was at the time of trial.